Well, this is a little bizarre. You’ve likely already linked up your Wii U with your Club Nintendo account through the eShop—a natural thing to do, so that you can get your coins and fill out surveys about the games. The automatic registration is a nice perk, not to mention the prizes you can pick up from collecting enough coins in your account. So naturally, you’d expect to do the same over on the Wii Shop from your Wii U. 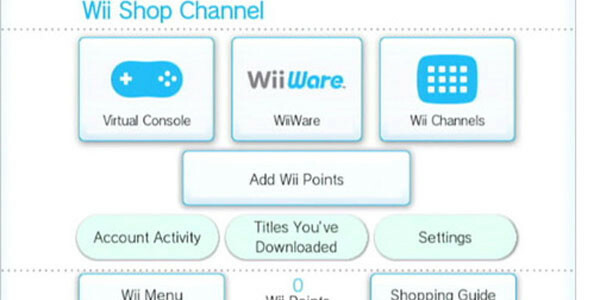 Get yourself situated in Wii Mode, pick up a few new games, register them… but wait… you can’t? Turns out games purchased from the Wii U in the Wii Shop aren’t eligible for coins and surveys through your Club Nintendo account, but the same games purchased directly from a Wii console are. How does that make sense? Huh. Well, with Nintendo working on getting the Virtual Console into the Wii U eShop, maybe this is part of the process. They’re hoping to make VC games playable on the GamePad, but it’s unfortunate that players are getting a bit of a raw deal in the meantime on their purchases.